You have a website, and you have customer feed back forms. What happens to those forms when you receive them. You have requested that contact information, and you have all that potential sales information. You have probably requested email addresses, telephone number, address information. This is where the ‘Auto email responder’ application comes in, it will retrieve emails from accounts that you define and processes the email forms, based on your settings, saving them into a separate table for each type of auto-responder. Each auto-responder can be either full HTML text or plain text, and can be set up to send from any email account as STMP messages, either SSL or non-SSL Mode. This means that you can even set up email auto-responder to access Gmail accounts for retrieving or sending your auto-responder. Use the auto-responder software as your initial extra sales person, making sure that your website visitor gets at least an initial contact. Then emails at set intervals are sent keeping them informed. Use the auto-responder software to maintain a mailing list, the user signs up to receive updates, and an initial email is sent informing the user they have signed up to your newsletter. 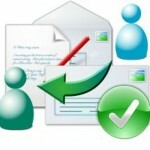 This email can also include the method to unsubscribe from the mailing list, which the auto-responder software can also do. The auto-responder software can also be set up to send emails to the currently selected email list, again this can be in HTML layout or plain, or both.